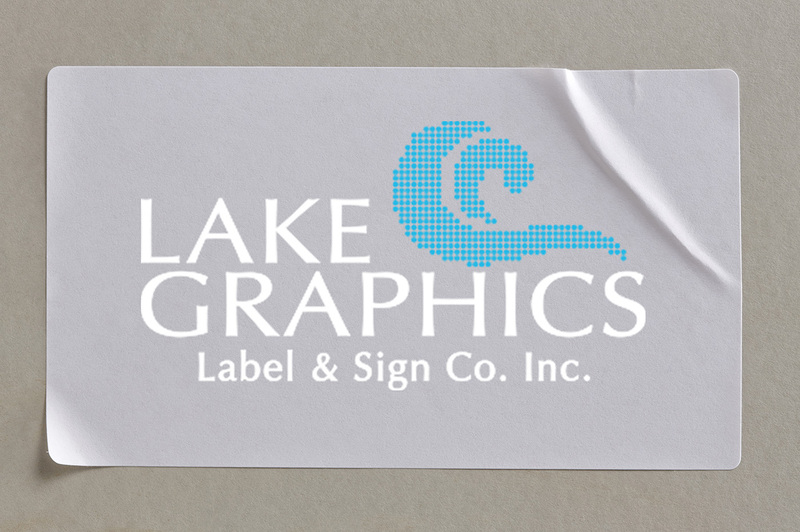 Large Format Adhesive Vinyl - Lake Graphics Label & Sign Co.
For application to smooth or porous surfaces like glass or metal, digitally printed adhesive vinyl can be used for large window graphics, building wraps, floor decals and more. Wide format printing on adhesive vinyl provides the ultimate in flexibility and durability for adding text, logos, branding or graphics to windows, interior and exterior walls and even floors. It is available in gloss or matte, a variety of finishes and with either removable or permanent adhesive. Adhesive vinyl can also be used for vehicle wraps, wall coverings, directional signage, large charts and other such uses. We stock adhesive vinyl in colors or translucent for printing or cut vinyl purposes. At Lake Graphics Label and Sign Co. Inc. we take pride in providing professional digital printing services with faster turnaround times at competitive prices. And after working with our expert, friendly and professional staff, you won’t want to take your artist canvas printing projects elsewhere. We can print top-quality, adhesive vinyl decals up to 3.2 meters wide using 8-color process. All vinyls are usually 60” wide maximum. We offer a variety of finishes and can die-cut to custom shapes. In addition, we also offer cut vinyl for printing or die-cutting letters, logos and intricate shapes that can be applied to windows, walls, signs, vehicles or more. We also regularly produce difficult or custom adhesive vinyl projects that other printing services are unwilling or unable to take on.